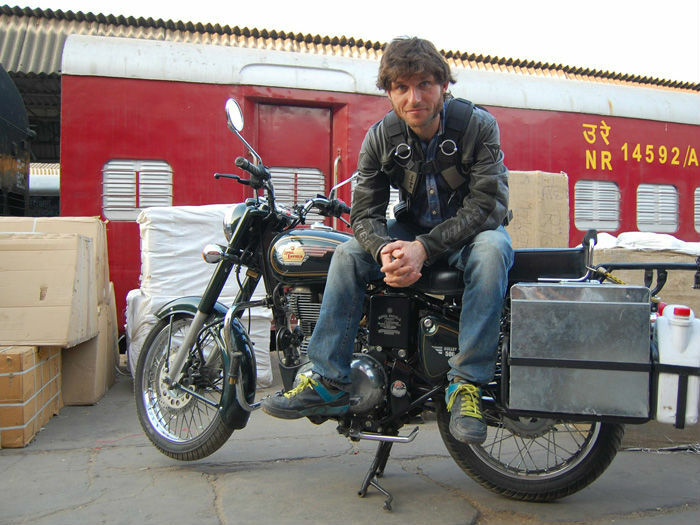 Guy Martin needs no introduction anymore and in his latest autobiography, you’re left feeling that the Lincolnshire rider wished he did. ‘When You Dead, You Dead’ covers 12 months in Martin’s life, from July 2014 and the Pikes Peak race to his well-documented crash at the Ulster Grand Prix in August 2015. For most people, a jaunt up Pikes Peak (a dangerous US hill climb on a 320bhp Martek where another competitor sadly died) and a big off in Ulster, would be more than enough for one year, but as becomes clear, Martin’s life ain’t normal. It’s brought him fame and lots of attention but that doesn’t seem to sit too well with the truck mechanic. In between his ‘proper job’, working on trucks in Grimsby, and road racing career, Martin doesn’t stop; his is a busy calendar that doesn’t slow down in the off season. There are world record attempts in France, a ride around India on a Royal Enfield (you probably watched the series), a 24-hour solo mountain bike race, a trip to New Zealand to race over Christmas and training to ride the Wall of Death (and break a world record in the process). That’s in between his day job, road racing and a go in the Red Bull Superprestigio (a massively glamorous event organised by Marc Marquez that Martin plays down and goes to in his Ford Transit). It’s a million miles an hour and you get the impression it’s taking its toll on Martin as the 34-year-old discusses in his own way, particularly when reflecting on the road racing scene and the baggage that brings with it. He’s a straight talking bloke by all accounts and ‘When You Dead, You Dead’ is true to that. There are lots of honest opinions about the industries he’s in, from TV (the One Show doesn’t fair too well) to racing (John McGuinness gets a mention). All in all you’re left with the impression (something Martin has discussed outside of his book too) that he’s going to get a lot pickier in the events he attends and the things he signs up for. Whether that means we’ll see less of him on TV or less of him at road racing events, we’ll have to wait and see but if the last 12 months are anything to go by, he’s probably not going to chill out.